Tags: arrow necklace, minimal jewelry. 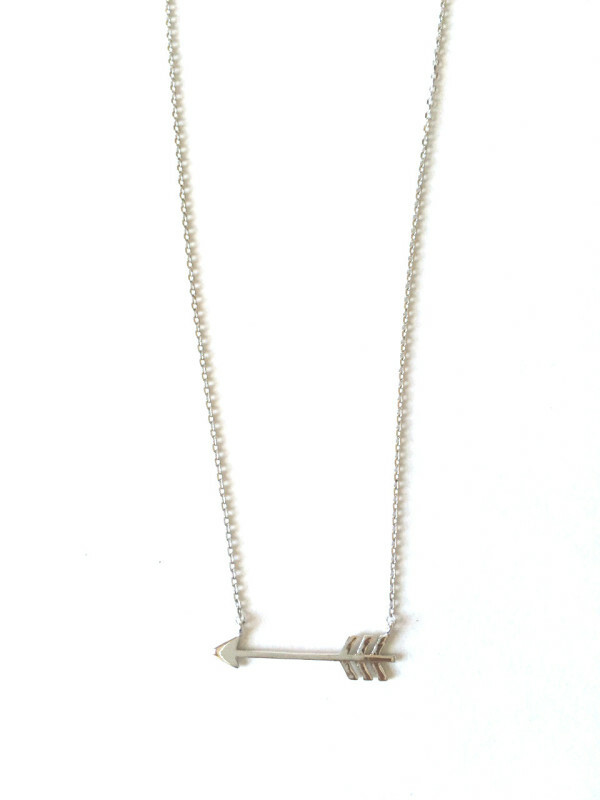 Our dainty arrow pendant necklace is fun and stylish but can also represent to its wearer a meaningful message such as empowering them in a positive direction or to point them towards achieving their dreams. This necklace pairs well with any outfit. Available in gold or silver.